Estate planning is about peace of mind. Birth, old age, sickness and death are part of every human life, yet most of us avoid thinking about it, or planning for it. And that's too bad. At its core, estate planning is about creating PEACE OF MIND—both for you and for the people you love the most. As an estate planner, I have the privilege of helping individuals and families create important documents that will help their loved ones take care of them and to pass their assets to the people and organizations that they love the most. And yet, nearly everyone who calls me apologizes for having put that call off for years and years. And they’re the exceptional ones, nearly 50% of people in this country never make an estate plan at all. Why is that? Here’s what I think: somehow, most people seem to think that death happens to everyone else. In my office, clients often use the phrase, “If I die” when we’re discussing their estate plan, not “when.” I love that. It’s so revealing. Yet all lives begin with birth and end with death. Every single one. It’s not like there’s any suspense in this story. There's no dramatic arc. You’d think that putting basic legal documents in place to deal with death gracefully would be akin to getting a driver’s license—straight forward, practical, universal. You'd think that asking what makes our lives meaningful would bring joy and purpose to what we do each day. But, if you have gotten this far, you know that neither task is easy. If you’ve been avoiding getting started, you are not alone. 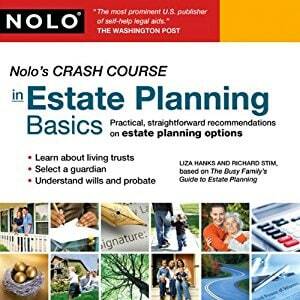 Your reasons for avoiding estate planning are personal. But my guess is that your resistance isn’t. You feel overwhelmed and helpless and confused. 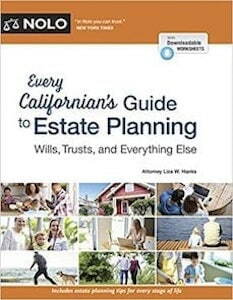 Like many of us, your predominate feeling when thinking about estate planning is dread. You feel frozen. It’s like a nightmare—you can’t move even though you know you should. Here’s the good news: I can help you get your estate plan done. People think travel is about seeing new things, but for many people the best part of traveling is coming home (your bed is perfect; the ocean smells just right; you love being able to cook your own food.) In a similar way, people think estate planning is about death, or they think it is about money, but it’s not about either of those things: it is really about love. Whether you are young or old, whether you are rich or poor, and whether you have children or not, making an estate plan should be on your agenda. Your plan might be as simple as naming your favorite charity as a beneficiary for your retirement plan or as complicated as creating a multi-generational trust. The specifics don't matter. What does matter is that you take some time to consider what you have, whom you love, and what you'd like to leave behind. Most lawyers think estate planning is about documents. I don’t. People come to see me because something in their lives has changed that’s made them need answers to new questions or solutions to new problems. You’ll leave my office with a set of legal documents, but the process of creating them will invite you to have some conversations and to think about things that you may not have considered before such as guardianship, planning for children with special needs, marriage, divorce, making gifts to kids, dealing with mental health issues, addressing incapacity, making end of life decisions, and how best to help aging parents. But don't worry. It's not as bad as it sounds. Many of my clients find, to their surprise, that they've enjoyed the process by the time they're done and I hope you will, too. It's rare to sit down and think about life and death issues and the people, organizations, or animals that you love the most. But it can be deeply meaningful. For some reason, we all seem to think that death happens to everyone else. By taking the time to get honest for a little while you might rediscover core values, remember organizations and friends that you want to support, and find unexpected patterns and hidden meaning in the journey your life has taken so far. Don't take death so personally, lighten up. We are all in the same boat and getting real about this can be a relief. I once had a colleague ask me, after she overhead an estate planning meeting, "What are you doing in there? Why are you all laughing?" I told her, "Oh, you know, talking about death." For most people, an estate plan consists of four main documents: a Trust, a Will, a Durable Power of Attorney for Finance, and an Advance Health Care Directive. When we work together, we’ll figure out which ones you need and how to structure each to accomplish your goals. Here’s a short description of each one. To read more, download the Getting Started Packet here. Living Trusts are legal entities that hold property during a person’s life and provide for a distribution plan after death. All assets in the living trust avoid probate. Living trusts are coordinated with pour-over Wills to appoint guardians (if necessary) and tie up loose ends. Powers of attorney allow someone to make decisions and to manage your financial affairs for assets outside of a living trust if you become incompetent. Advance Health Care Directives allow you to name an agent to make health care decisions for you and state your wishes for end-of-life care. You’ve taken the first step towards creating your estate plan. Good for you. If you are serious about creating your plan, I look forward to working with you. I feel privileged to help.